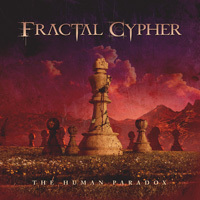 Fractal Cypher, a progressive metal band from Montreal, enters the heavy metal arena with their debut album, The Human Paradox. 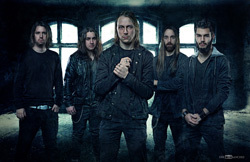 Prior to the release the band has teased fans with three singles from the album. 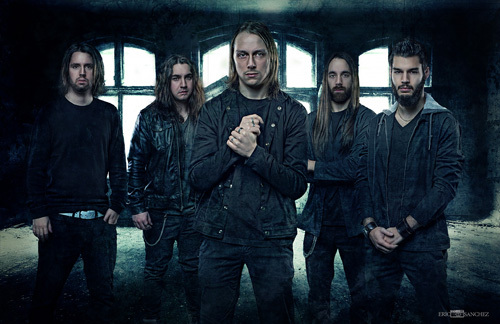 Also of interest, in advance of the release the Cypherists have garned some praise from their peers, such as Danny Marino from The Agonist and Crypotsy's Christian Donaldson, who recorded, produced, mixed, and mastered the album. So is all this praise worth its weight? Read on. The answer is clearly, yes. Yet with some reservations. One thing that is blatantly obvious is the breadth and depth of both musicianship and songwriting. The guys in Fractal Cypher can write imaginative songs and play extremely well together. It's like the heavy metal muses found this quintet and fused their ideas and aspirations together. As for the death vocals in Lost, Prison Planet, and Imminent Extinction, they seem to be, as is so often the case these days, something of an afterthought. I've listened to all the songs, with lyrics before me and did not get the connection. They seem an addition that succumbs to modern metal commericialism. But I think that was the intent of Prison Planet, with its thrashy harsh texture throughout. Naturally and obviously, since I despire dirty vocals, and despite the musical invention in all three songs, they were my least favorite songs. Better were the songs where the melody rose with compositions that were complex yet accessible and so musically challenging such as The Ghost Of Myself, Final Abode, or the metal ballad Awakening. All said, despite some reservations, Fractal Cypher's The Human Paradox is solid progressive metal, and a fine first effort, from some very talented musicians. Defintely check it out. Despite some reservations, Fractal Cypher's The Human Paradox is solid progressive metal, and a fine first effort, from some very talented musicians. Defintely check it out.